The foods you eat fall into various categories. There are some foods that are just outright bad for you like heavily processed foods or foods that are high in sugar. Then, there are some foods that are good for you such as chicken breasts, eggs, and most leafy green vegetables. Finally, there are super foods, which are an extremely healthy category above all of the rest. A food needs to fit two criteria before it can be considered a superfood. The first is that it must be well above average in terms of available nutrients, minerals, vitamins, and other good things. Second, it must be below average in terms of calories, certain fats, and sugar. The combination of these two criteria creates an extremely healthy food that can increase resistance against health conditions, improve weight loss, and provide a substantial boost of energy without negatively affecting the body. Not many foods fall into this category. Here are just a few that do. Spirulina comes in a powdered form that can easily be added to any smoothie. Once ingested, it benefits the body in many ways by providing it with all of the nutrients and vitamins mentioned above. The high protein content and high burst of energy it provides make it a great addition to a pre-workout routine. Chlorella is already an extremely popular superfood in Japan and is slowly making its way across the globe. Chlorella is also a form of algae, much like Spirulina. This means it is high in chlorophyll and some similar nutrients. Chlorella is most often used as a tool for detoxification. It can remove various metals and toxins from within the body. Many of these toxins result in feeling fatigued throughout the day. In this way, chlorella can be used to provide increased energy on a long-term basis. The taste of chlorella is mild compared to spirulina. You can add it to juices or smoothies without noticing a serious difference. The acai is a berry that comes from palm trees found in certain areas of South America. The acai berry is fairly small as it is and only a small portion of it is actually edible. The rest of the berry consists of a large cluster of seeds. It is also difficult to transport the delicate berries over long distances. This is why it most often sold in powdered form. It is low in sugar, but high in nutrients, such as calcium and iron, which allows it to be classified as a superfood. The acai berry has been used to treat a huge array of conditions over the years. It has been used as a treatment for diarrhea, ulcers, and infections. Non-edible products that utilize the healing properties of the acai berry include conditioners, moisturizers, and shampoos. 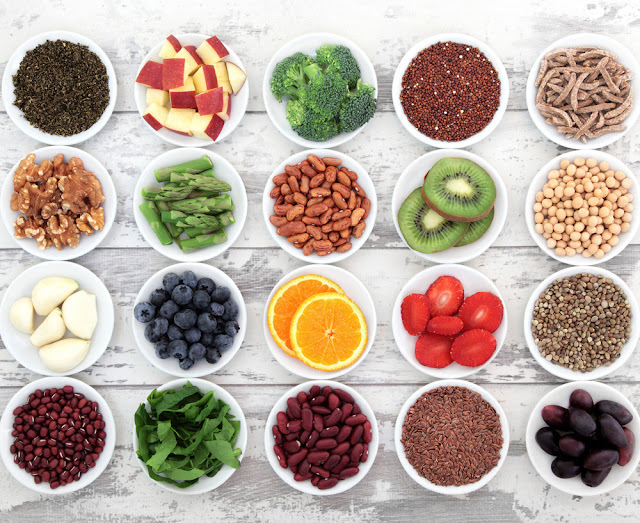 Adding superfoods to your diet does not mean you have to completely change the way you eat. All of these superfoods can be easily added to smoothies or juices that you drink as snacks throughout the day. It is possible to enjoy their many health benefits without building entire meals around them. If you need more energy throughout the day, you don't have to rely on quick pick-me ups like coffee or energy drinks that do the body more harm than good. Adding these superfoods to an already healthy smoothie or juice will help you to feel less fatigued throughout the day and you will feel great all over. Roger Lehman writes and plays music in his spare time. He runs a site, Best Blender for the Money.com that gives you the latest reviews and information on blenders to help you make the right choice. Chlorella is amazing for long term detox programs. It has worked wonders for us and here at LIFESTYLE150 we recommend it to everyone.